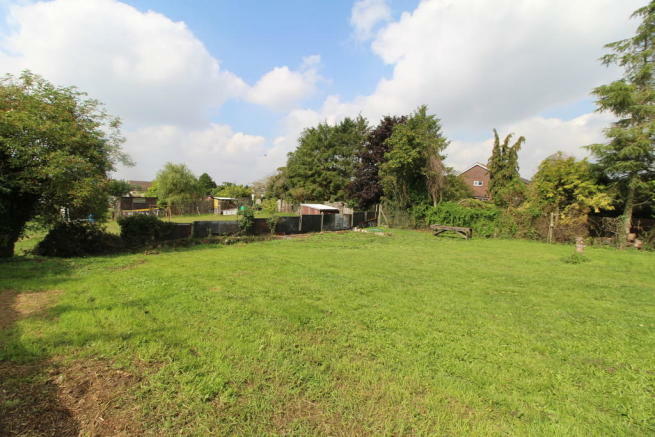 A building plot with detailed planning permission for a three/four bedroom chalet style bungalow with accommodation extending to approximately 1,581 sq ft (147 sqm). Accommodation to comprise: entrance lobby, living room, dining room/kitchen, study/bedroom four, utility room and cloakroom. Master bedroom with en-suite shower room, two further bedrooms and family bathroom. Shared driveway arrangement with parking and proposed garage. Gardens to the side and rear. Approximately 0.26 acres in all. Location The plot is set well back from Cambridge Road in an established and well regarded residential part of 'old' Kesgrave. Kesgrave is situated in an accessible location between the historic market town of Woodbridge and the well served County town of Ipswich, and offers a good range of amenities including a supermarket, public houses, two post offices, butchers, doctors, dentists, two primary schools and an Ofsted 'Good' rated high school. Kesgrave also offers various sports facilities including an indoor sports centre and a renowned conference centre, all within walking distance. There are regular bus services to Ipswich and good road access is afforded to the A14 and A12 to Woodbridge to the North and Colchester and London to the South. Ipswich also benefits from a mainline railway station with services to London's Liverpool Street with an approximate journey time of sixty-five minutes. Excellent sailing and golfing facilities are both available nearby or on the popular Suffolk Heritage Coast. Directions Proceeding in a westerly direction towards Ipswich on the A1214, turn left onto Cambridge Road where signposted. Continue along this road and the plot will be found on the right hand side. 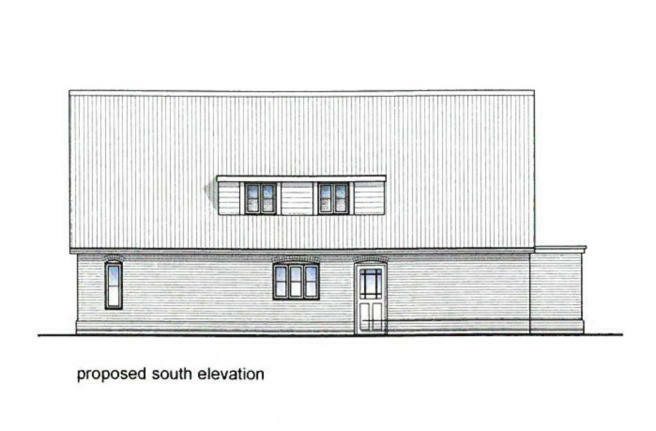 Description Planning permission was granted by Suffolk Coastal District Council on 6th June 2018 (Ref: DC/18/0990/FUL) for the construction of a three/four bedroom chalet bungalow with detached single garage and alterations to existing access driveway. A copy of the planning permission, together with extracts of the consented plans, is included within these particulars. 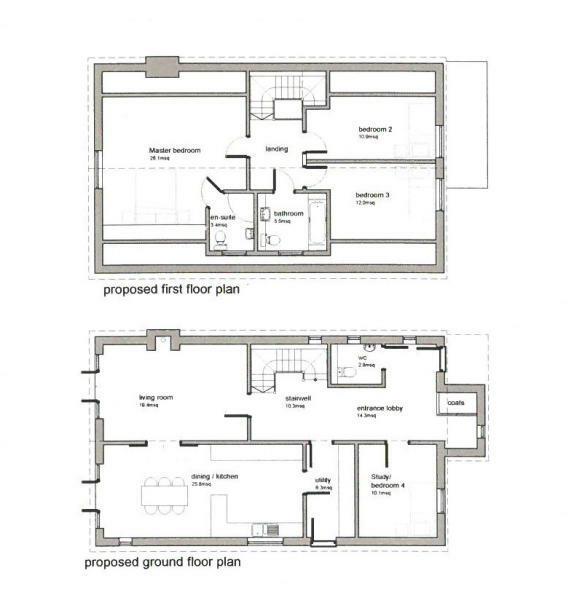 The consented dwelling will extend to approximately 1,581 square feet (147 sqm) with the proposed accommodation comprising entrance lobby, living room, dining room/kitchen, study/bedroom four, utility room and cloakroom on the ground floor. On the first floor there will be a master bedroom with en-suite shower room, two further bedrooms and a family bathroom. 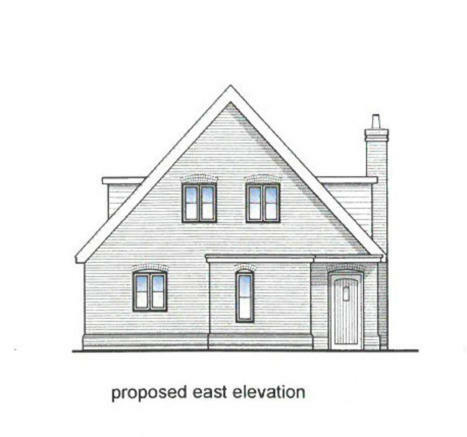 Outside there will be a shared driveway from Cambridge Road serving this plot, together with the neighbouring properties, 1 The Backs and Westwinds. 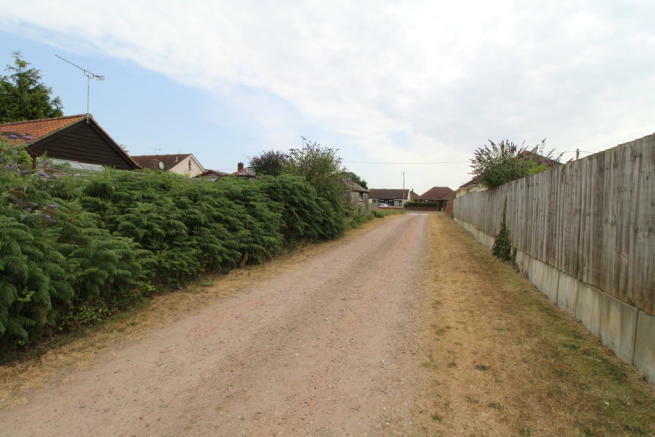 It is proposed that the driveway and turning area, located immediately to the front of the plot, will be retained by the plot, with sufficient access rights and service connection and maintenance rights granted and maintained in favour of 1 The Backs and Westwinds. 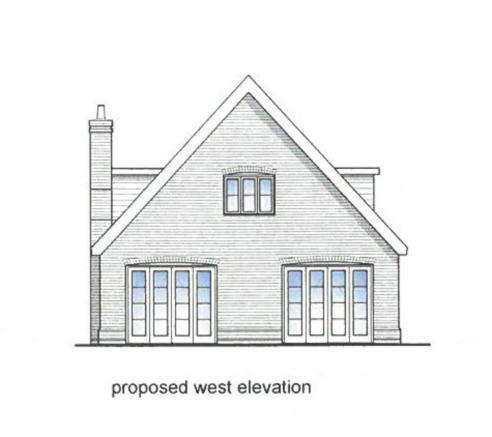 The plans indicate a parking area will be created immediately to the front of the proposed dwelling, together with gardens to the sides and rear. The rear garden faces in a westerly direction, which will enjoy the sun during the latter part of the day. 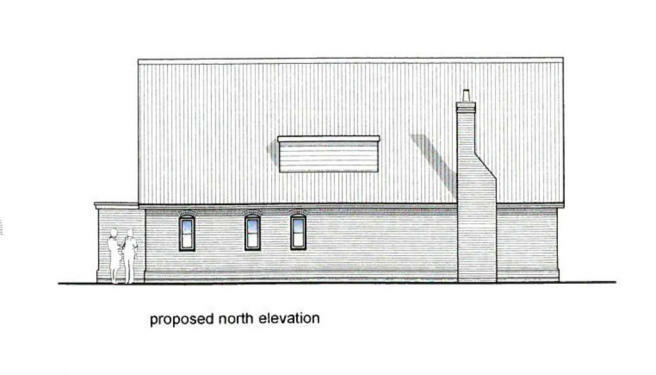 The approved plans also provide for a garage to be constructed. Community Infrastructure Levy (CIL) A Community Infrastructure Levy will be payable and based on the consented scheme, the CIL liability was set at £18,120.98 on 13th June 2018. This is payable on commencement of the development. This figure is subject to indexation, but prospective purchasers should satisfy themselves in this regard. If the plot is purchased by a self-builder, this levy may not be payable. 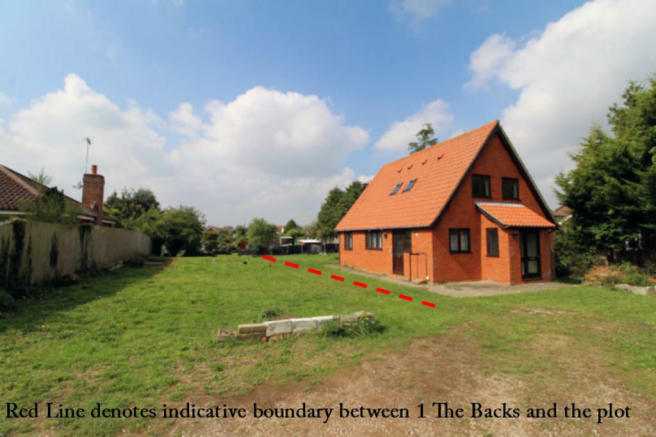 Boundary Arrangements The purchaser of the plot will be obliged to erect fencing along the northern boundary to a minimum standard of 6 foot close boarded fencing, separating the plot from 1 The Backs, within six months of the sale completing. 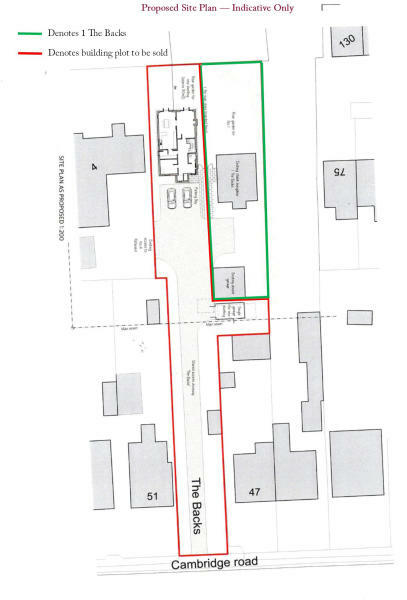 Proposed Garage Prospective purchasers will note that the planning permission provides for a single detached garage away from the plot, located beside the existing double garage. Services We are advised that a mains electricity supply crosses the site underground, serving 1 The Backs and the neighbouring property, Westwinds. There is also a foul sewer connection already in situ in readiness for the new dwelling. A new mains water and mains gas supply will probably need to be installed for the new dwelling. Notwithstanding the above, prospective purchasers should satisfy themselves with regard to the provision of services available on site and the capacity of such services. Rights of Way The vendors will grant a right of way along the accessway that will serve 1 The Backs and the neighbouring property, Westwinds, and subject to the owners of those properties and their successors in title being obliged to pay a fair proportion (one third each) of the maintenance and upkeep of the driveway. Disclaimer - Property reference 100098007194. The information displayed about this property comprises a property advertisement. Rightmove.co.uk makes no warranty as to the accuracy or completeness of the advertisement or any linked or associated information, and Rightmove has no control over the content. This property advertisement does not constitute property particulars. The information is provided and maintained by Clarke & Simpson, Framlingham. Please contact the selling agent or developer directly to obtain any information which may be available under the terms of The Energy Performance of Buildings (Certificates and Inspections) (England and Wales) Regulations 2007 or the Home Report if in relation to a residential property in Scotland.